Growing from a small, trusted regional builder to a nationally recognized green building leader, Homes By Dickerson demonstrates that high-performance is not just something you do, it is who you become. We are excited to highlight their journey, celebrate accomplishments, and look forward to 10+ more years of high-performance partnership. Homes By Dickerson is also involved locally as a member of the Green Home Builders of the Triangle. Homes By Dickerson constructs and certifies 51 homes to the NGBS standard in 2011, demonstrating their commitment to offering better homes. With 301 custom-built homes certified to the National Green Building Standard, Homes By Dickerson leads the North Carolina market for verified high-performance offerings. Today Homes By Dickerson has proudly certified 24% of NGBS single family homes in North Carolina. Efficiency and performance meets power with HBD's Zero Energy Blueprint homes. The addition of solar takes sustainability and savings to the next level by reducing the home's energy bill even further while generating clean, renewable power. Homes By Dickerson is also named a 2018 NGBS Green Partner of Excellence, and takes their sustainability commitment to the next level by installing solar on their Wendell Falls model home. 15 homes also opt in to generating their own power in 2018. The first Tesla Powerwall installed in the Triangle goes live in an HBD home as well! After a decade of building high-performance homes, Homes By Dickerson continues to lead the change with efficiency, comfort, savings, and sustainability. We have chosen to build all of our homes to the Bronze level of Home Innovation’s NGBS Green Certification Program. We feel that the building components and practices required to satisfy the program requirements exemplify the commitment we have with our customers to be the best stewards of their money as possible; both in the initial construction of the home and in the long-term operational costs associated with that home. Homes By Dickerson is a leading high-performance builder with the most single family homes certified to the National Green Building Standard (NGBS) in the country. As stewards of your investment, Homes By Dickerson is dedicated to providing quality homes that offer savings, health, comfort, and sustainability. Building to the NGBS standard requires more than checking a box for energy standards, it means that these homes are designed and constructed to meet a minimum number of criteria in water efficiency, home site design, sustainable materials, indoor air quality, and homeowner education to achieve certification. Over the last 10 years, Homes By Dickerson has continued to embrace high-performance green building, earning them the designation as a 2018 NGBS Green Partner of Excellence, 2018 MAME Best Green Home award winner, and a perfect score in the 2018 Parade of Homes. 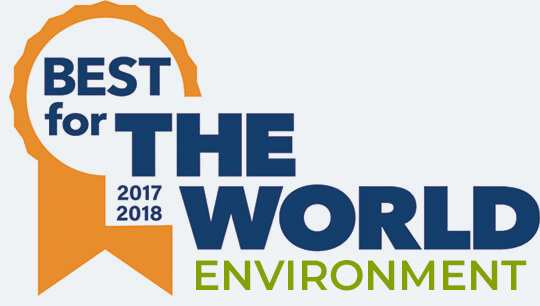 Lots of builders say they care about the environment and that their homes high-performing. Homes By Dickerson doesn’t have to say it – they let their NGBS Green Certified homes speak for them. NGBS Green is an independent, third-party certification that affirms each home’s compliance with the ICC/ASHRAE-700 National Green Building Standard (NGBS), the nation’s leading green building rating system. In short, an NGBS Green Certified home is a better place to call home. Having nearly 1,000 NGBS Green certifications to date speaks volumes about the commitment Homes By Dickerson has to building high-performing, quality, sustainable homes. Homes By Dickerson has a crystal clear vision of who they are and what their brand represents. That vision is shared equally on all levels of the organization. Their team is highly trained, highly motivated, and empowered to own their craft. As a result you get some of the best homes built in the Triangle. With an average HERS score of 56, the Homes by Dickerson team has saved their home buyers a cumulative $1.2 million in energy savings over the last 10 years! Since 2009, Homes By Dickerson has been influencing the market with their leadership in high performance, and are now leading with zero energy offerings! As one of our first Zero Energy Blueprint partners to include solar in their sales strategies and on their model home, Homes By Dickerson has made going solar a mainstream feature. With this option available to any home during customization, homeowners are able to wrap the cost of solar into their mortgage so they can get more value from their system while reducing their total cost of ownership. Residents not only save on their utilities from a higher-performing and more efficient home, but can also offset their electric bill by generating their own power for maximum savings. Over time, these savings add up for Homes By Dickerson homeowners, which results in more money that can be spent in the community instead of on the home or utilities. 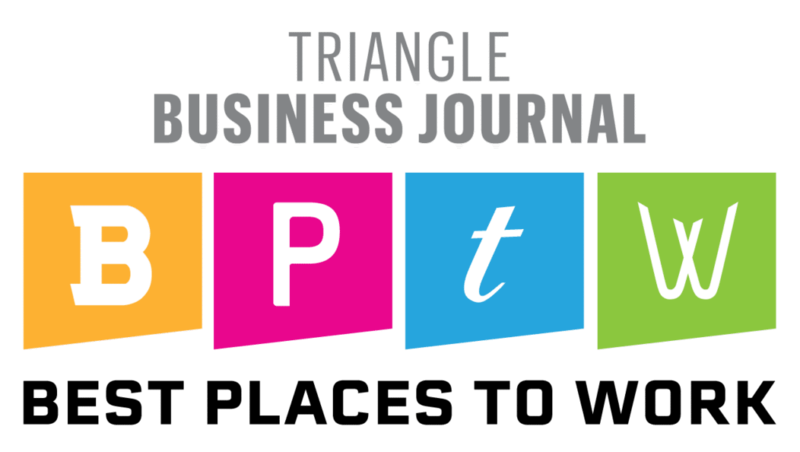 Over the past 10 years, Homes By Dickerson has blanketed the Triangle in high-performance homes and home solar power. 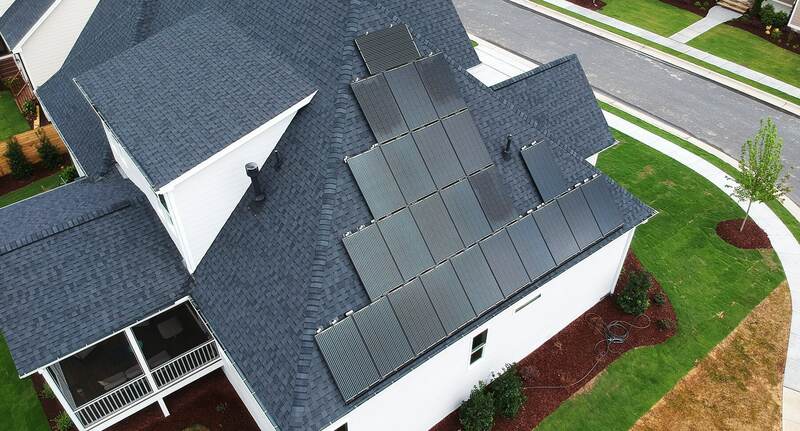 By offering Solar Energy options to their homeowners, Homes By Dickerson is taking a step to encourage all home builders in the Triangle to see this technology as standard, rather than a specialty item. Get to know more about Homes By Dickerson’s high performance features and find your dream home. 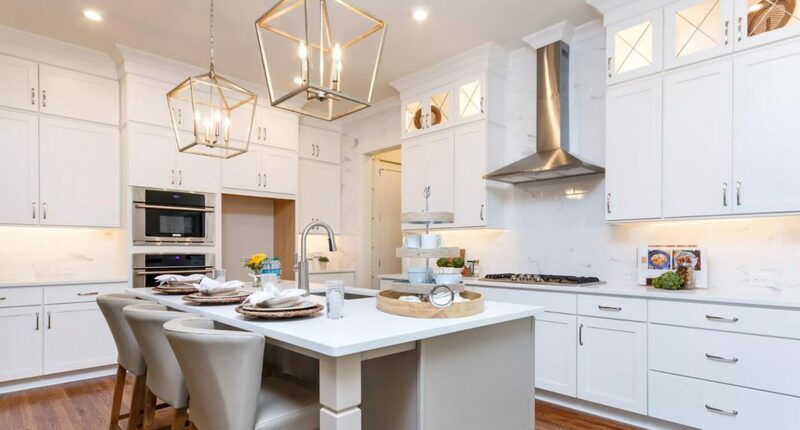 It has been great to see the Homes By Dickerson team not only grow over the last 10 years, but also embrace high-performance as a necessary component to quality home building. It is not just a “selling feature” to them, it is quality assurance their homes will be comfortable and healthy in addition to beautiful. They understand they are not just building homes, they are building lives. 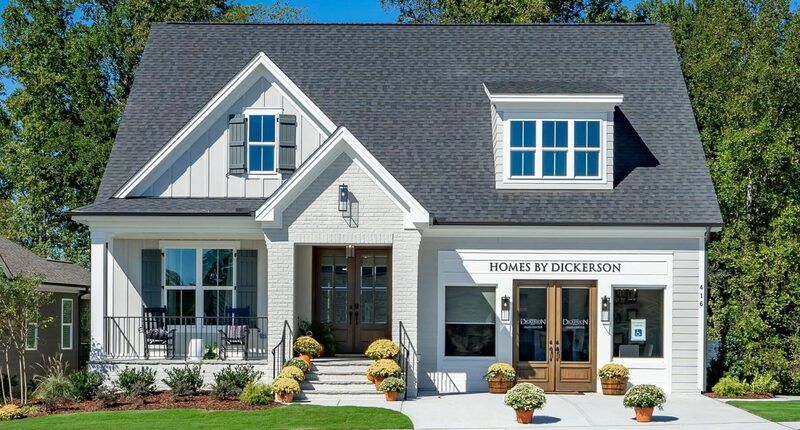 Homes By Dickerson has been setting the bar for high-performance home building for the past 10 years, so where do they go from here? They are already pushing the market to adopt the home of the future by implementing our Zero Energy Blueprint program and offering solar as a standard upgrade option on all of their new homes. However, they are not stopping there. Homes By Dickerson is working with their homeowners to add the next generation of home energy features: intelligent battery storage via Tesla’s Powerwall and electric vehicle charging capabilities included with every solar system. We are confident that Homes By Dickerson will continue to lead the change towards high-performance building in the Triangle and across North Carolina. Southern Energy Management is so thankful for the past 10 years of partnership and excited for the next 10 years of innovation.